This week, Microsoft will be hosting its Connect(); conference in New York but the announcements at the event are coming out a bit early. 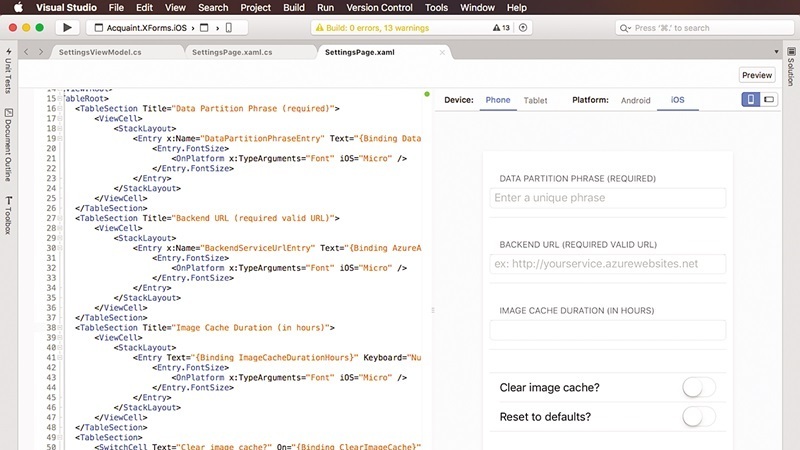 The company has announced today that they will be bringing Visual Studio, to the Mac. The Mac version of Visual Studio looks similar to that of the Windows version and is complemented by Visual Studio code. But, the similarities are far deeper than the UX, Visual Studio for Mac uses IntelliSense and for refactoring, Roslyn Compiler Platform gets the call. Compatibility was a key initiative for the first release of this platform and while Visual Studio for the Mac doesn't support every project type, for those that are common across the two operating systems, it uses the same MSBuild solution and project format. Meaning, you can easily share compatible projects from Mac to Windows without any issues. Visual Studio for the mac is based on Xamarian Studio which means the application already has mature support for C#-based iOS, Android, and Mac development. This shouldn't come as a major surprise as Microsoft has been making the most of its Xamarian acquisition and this is the latest step of integrating that technology into its development stack. The fact that Microsoft is bringing Visual Studio to the Mac shouldn't come as a major surprise, considering how the company has been open-sourcing many of its technologies and also building applications for Linux like SQL Server, this is simply another step in the journey to being a more open software vendor. With Visual Studio coming to the Mac, Microsoft is trying to assert that it has the best development tools on any platform and because the Visual Studio name is well known to developers, this will give them a leg-up when trying to court developers who bounce between PCs and Macs. The post Microsoft Is Bringing Visual Studio To The Mac appeared first on Petri.